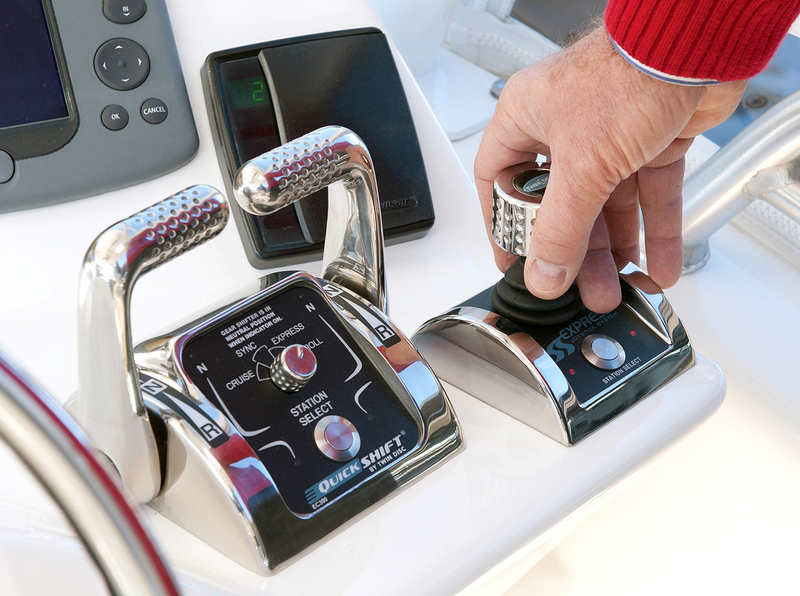 In conjunction with the Twin Disc Express Joystick System (EJS), the Twin Disc Express Positioning System (EPS), known as “the hand of God” by many boaties, brings intuitive, fingertip boat control to a new level. EPS provides simply effortless station keeping. At the touch of a button, adedicated GPS determines your location and heading, then instantly directs the Twin Disc QuickShift® transmissions and proportional hydraulic thrusters to achieve those coordinates. The Twin Disc Express Joystick System® (EJS®) absolutely revolutionises docking and slow speed manoeuvring of diesel powered, conventional driveline boats. With easy fingertip movements you control direction and speed — instantaneously. No lagging. No lugging. No lurching. No clunking. All thanks to proven QuickShift® transmission and EC300 control technology. You literally guide the joystick in the direction you want the boat to go. With no hesitation, all propulsion components actuate proportionally to the pressure you exert on the joystick to move your vessel precisely where you want, at the speed you intend. You can point the bow in any direction without moving from a fixed position. The EJS smoothly and simultaneously actuates and controls engines, transmissions and thrusters. You can crab the boat diagonally or slip it straight sideways. You can effortlessly move the boat in any direction and even pivot it on its own axis. Its performance dramatically exceeds any other propulsion system. 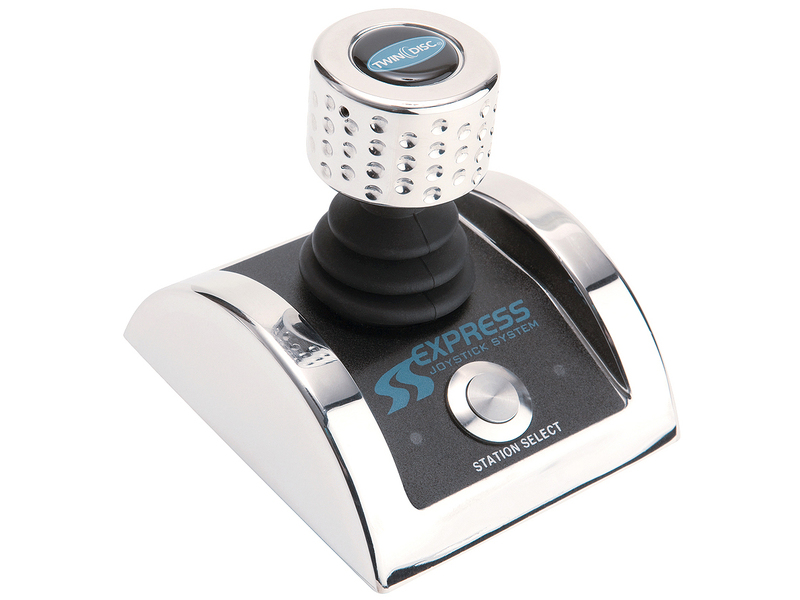 The Twin Disc Express Joystick System brings incomparable control and enjoyment to even the most difficult docking situations. Once you try it, you can’t imagine driving your next boat without it.